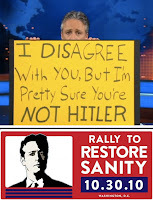 If you aren't yet aware Jon Stewart is holding a rally in Washington D.C. this weekend at the National Mall. With all of the mess going on in our political world I think it's awesome that someone other than Fox News is promoting a rally of people who represent the larger portion of our nation who are not graced with video cameras connected to the entire world. I hope that we see a large turnout at the rally this weekend and that, above all else, everyone has a fun and safe time. 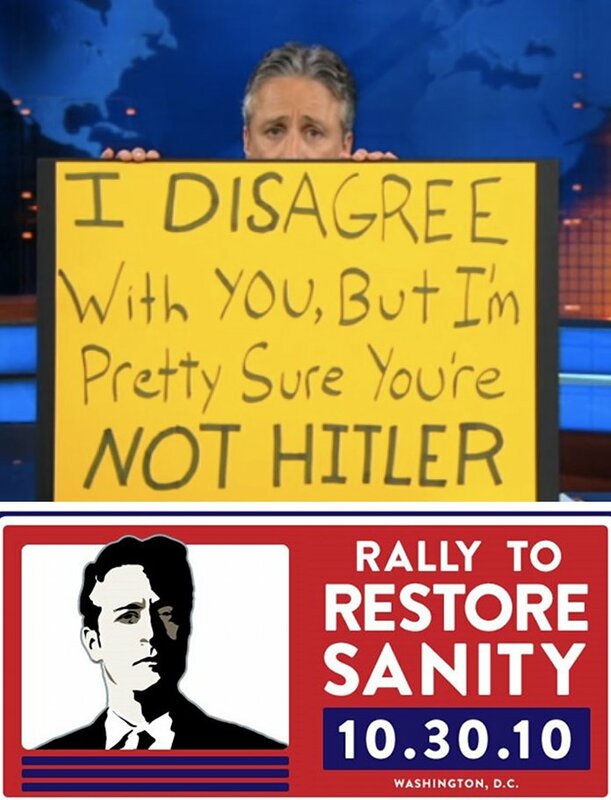 You can watch Jon's announcement on The Daily Show's Website and you can get more information at www.rallytorestoresanity.com. Ours is a rally for the people who’ve been too busy to go to rallies, who actually have lives and families and jobs (or are looking for jobs) — not so much the Silent Majority as the Busy Majority. If we had to sum up the political view of our participants in a single sentence… we couldn’t. That’s sort of the point. Labels: jon stewart, politics, rally, sanity, washington d.c.